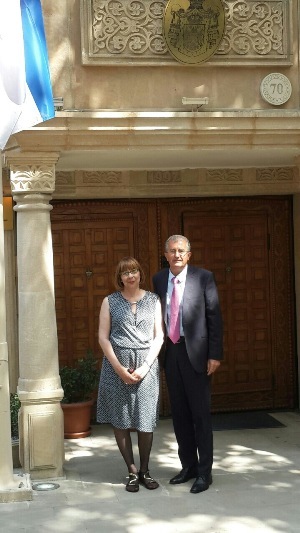 On Saturday, the 30th of May, Jasmina Mihajlovic, renowned Serbian writer and literary critic, author of many travel prose books, essays, and novels, visited the Embassy of Serbia in Baku. Her visit to Azerbaijan followed the visit to the capital of Georgia – Tbilisi, where she had opened the International Book Fair and where she had been a guest of many literary events. She had presented her works and the works of the academician Milorad Pavic, because she is also the trustee of the Bequest of this famous writer whose works have been translated into numerous languages. 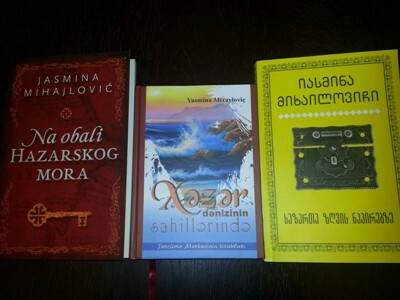 The novel ‘’On the Shores of the Khazar Sea’’ – a love story of two writers, written by Jasmina Mihajlovic, was translated into Azerbaijani at the beginning of the year.